While it feels like my little guy is far from that first day of Kindergarten, I know it will be here in the blink of an eye <insert mega mom tears here>. I also know that while it may still be a ways off, there are things that we can do to be proactive as his parents in ensuring that he is as prepared as possible for the day when it comes. Being a teacher, myself, I have come to learn that there are certain skills and experiences that, if they come in having knowledge of them, fosters students' success right from the get go. And it may come as a surprise to you, that many of them have little to do with all the facts and figures they know. That being said, please note that I am by no means an expert on this subject. Just a fellow teacher mama, navigating life with a toddler day-by-day and hoping that maybe, just maybe, by the time he reaches his first day of school he will make it through with two shoes on and his papers actually in the folder in his backpack. 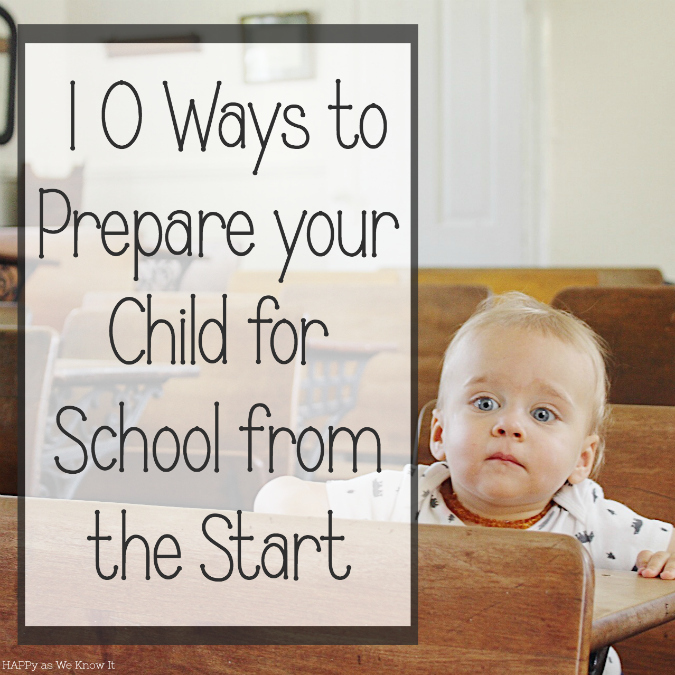 So how can you prepare your child for school from the start? 1) Read to your child. I know this one is like, "duh", to most of you, but I can't express enough the value of daily reading. Reading to your child gives them the opportunity to hear a fluent reader, to experience what good expression sounds like as you make all those crazy character voices and to see basic skills like page turning and reading the pictures modeled. 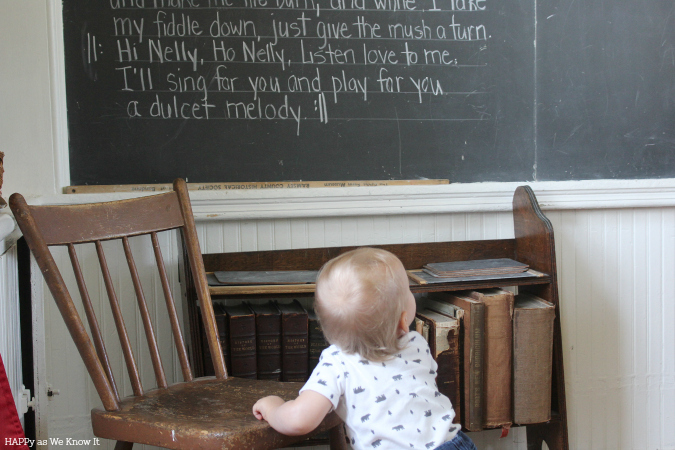 Not to mention, children's language and vocabulary skills develop ten-fold by listening to texts read aloud. Seriously, read. And read a lot. 2) Take them on "field trips". My favorite thing to do with my little guy throughout the week is to experience new places with him. Museums, farms, pools, parks, you name it. But not even just that, we also love the grocery store, the mall, the library, and Target (or as my child has grown to know it "the most magical place on earth"). Honestly, just about anything is a "field trip" to your little one as there is so much they can soak up from the world around them as this age. We talk about the animals we see or the foods we are buying, and we name them all. 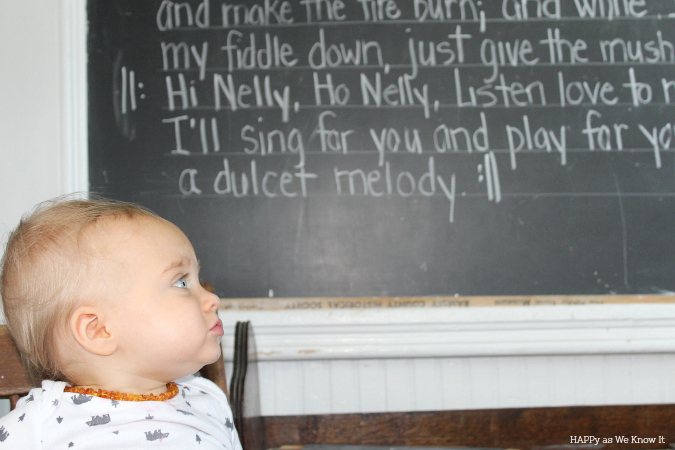 We talk about what we will see and do before we go and his favorite part after (even if I make it up for him at this age), because previewing and summarizing are skills that even the littlest friends can begin to understand. These experiences we provide our kids are so valuable in building up their background knowledge and laying the foundation for understanding so many concepts that will come their way when they hit school age. 3) Provide time to socialize with other kids. While being a full time working mama was certainly tough this past year, I will admit that in some ways it was great for my little guy to be in daycare because he learned so much from being around the other kids. Kids pick up so much from each other. Case in point, we just had a group of friends over a few weeks back with littles around the same age as Asher. This kid seriously has had little to no interest in walking or even standing by himself until he saw his "peers" doing it, and wouldn't you know it he just stood up right there in the middle of the toddler chaos like it was no big deal. Say what! I about peed my pants - but at the same time, thought, what a beautiful reminder of the power of littles in community. Whether your child is in daycare, preschool or you stay home, find a way to provide time for your child to socialize with kids his/her age. 4) Teach them that mistakes are opportunities for learning. Our kids are going to make mistakes. My child has already made more than I can count. From losing his balance and bumping his head, to knocking over cups of water, to purposely tossing his food; mistakes happen in our household on a daily basis, as I am sure they do yours too. As adults, we made mistakes as kids, and we continue to make them today. Ensuring that you utilize each of your child's mistakes as an opportunity for learning for him/her and modeling the same of yourself, sets them up to understand that a)none of us are perfect and b)making mistakes and even failing at something sometimes is not the end of the world, but rather an opportunity to grow and move forward. 5) Help them to develop a growth mindset. (This one goes hand-in-hand with #4.) There are said to be two predominant mindsets a person may possess - a fixed mindset or a growth mindset. A fixed mindset is one in which one believes their intelligence is just that- fixed. Kids with a fixed mindset may tend to avoid challenges and give up easily, and thus, not ultimately reach their full potential. However, kids with a growth mindset believe that intelligence can be fostered and, thus, tend to embrace challenges and even setbacks which ultimately leads them to reach higher levels of achievement. Obviously, we want our children to lean toward the latter. One simple way to begin to help your child develop a growth mindset attitude is by helping them to shift their thinking in certain situations. For instance, if you hear your child saying "I can't do this. ", help them to reframe the thought into "I'm going to have to practice this." Or reframe "I give up." to "I'll try it a different way." or "I'll take a break and come back to it". Belief in one's own ability to grow and achieve is often the biggest piece of the puzzle in actually succeeding at it. 6) Teach them to speak up for themselves and others. Sometimes kids can be mean, even in Kindergarten. But if we can teach our children from a young age how to speak up for themselves and even for others when these situations arise, it has the potential of shifting a negative experience into a learning (or even positive) experience for all. One thing I worked a great deal on with my students was using something called their "big voice". The "big voice" empowers children. It is a voice they can use in order to communicate to someone how a certain action or statement makes them feel and what they would like to happen next. A "big voice" statement may sound something like this "I don't like it when you (insert whatever it may be that is bothering you here), please stop". Or if a child is able to make it a bit more complex, it could be "I don't like it when you _______. It make's me feel ________. Please stop". Either way, it's simple, and to the point (which is key for the little guys). And can really be tweaked for any situation. 7) Encourage kids to ask questions. Don't be a question stifler. While we haven't gotten to the "why?" phase yet with our little guy, I know it's a comin'. But I think it is important to note, that when a child is asking "why? ", more often than not, it's not because they want to drive you bonkers (while that may be the case), but because they are actually interested in "why?". Questioning is how kids learn about the world around them, and there is unfortunately a ton of research out there that shows as kids grow, the amount of questions they ask fades. It disheartens me to say this, but I think it may be our fault grownups. Questioning is part of that growth mindset I talked about above, and curiosity is key to engagement in new learning. So instead of giving your child that quick "just because" response, take than extra moment to explain why. Encourage inquiry. And if you don't know the answer, then heck, take it as an opportunity to learn why together! 8) Provide opportunities to experience and talk about diversity. This one is a little bit of a combo pack of #3 (socialize) and #7 (question), and one that in being a bilingual teacher is near and dear to my heart. I am not going to sugar coat it - we live in a world where unfortunately, racism, sexism, and hate toward specific groups of people is real and evident throughout our society. Now trust me, it is my first instinct to shelter my child from all of this, especially at such a young age, but there are many families and kids that don't have that luxury because they are living this as their reality and preparing their children for this reality day-in-day-out. That's why I think it is important to work to ensure that my child begins to develop an age appropriate understanding of his privilege as a white male from a middle class family, and at the same time develop an understanding that this doesn't make him better or more worthy than any other. It is my goal to provide him with experiences during these formative years to interact with families and children that may come from a different culture than his own, who have different family structures where two dads are parenting or who's skin color or religion may be different so that he not only sees this as part of his world, but also so that he can ask questions and we can talk about these differences amongst people together in a positive, productive and open way. If we desire a more peaceful, accepting world for our kids friends, we've got to sow the seeds to create one. 9) Create a predictable environment at home. In setting up expectations and structure at home, you are not only creating an environment that feels safe and stable for your child, but preparing them for the routines and rules that come along with a school setting. Know that these expectations may shift and change over time as your little one grows to understand more and develops more skillsets, but anything you can do to set the stage from the get go is helpful. For example, currently, I sing the "clean up" song as we pick up our toys and I model for Asher how to put toys back in their container. As time goes on, however, I hope that we will sing the "clean up" song together, and I will expect him to be able to clean up his things more and more independently. This is just one example and other ways this can be done may be through bedtime routines, mealtime routines, getting ready routines, etc., as well as ensuring your child knows what his/her boundaries are under your care. And while it can be hard sometimes, make sure that if you put something in place, you follow through with it consistently. This is key. 10) Love on them with all you've got. Honestly, one of the biggest predictors of a child's success in school is a loving support system and a champion routing for them behind the scenes. So above all, love on your child and support them day-in-day-out. Spend time investing in them. And most importantly, seek to get to know them. Take the time to learn their talents, passions, strengths and struggles and assist them in molding them into all that God intended for them to be. And with that, happy school year 2017, folks! And, Kindergarten teachers, watch out, ready or not we'll be coming for ya in four short years! Will read this again when I have kids, as a teacher I could not agree more, all of those experiences will create a skill set when a student enters kindergarten. Thanks for your insight and valuable feedback girl!